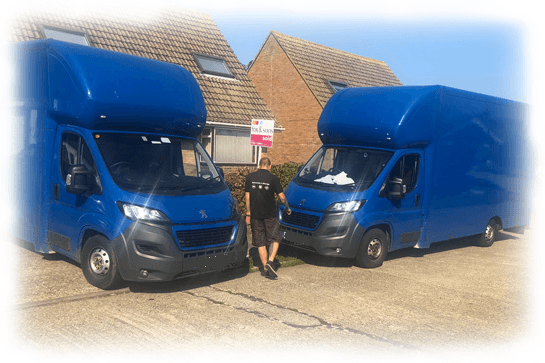 Moving home or workplace can be one of the most challenging and stressful things that you ever do, so it makes absolutely perfect sense to let a team of qualified professionals take the strain and handle everything from start to finish. London removal companies will often take care of the move itself, but at the London Removals Company, we provide a complete ‘end to end’ solution that leaves you free to sit back and watch your new place take shape. When we say that we deal with absolutely everything in a home or office move, we literally mean everything! We will arrive at your existing property equipped with boxes and other materials, and then package everything to keep it as well-protected as possible in transit. If you have valuable or particularly fragile items that need to be transported across the capital or beyond, it is reassuring to know that we will treat them with exactly the same care as you do. Once everything is packed, loaded up and ready to go on one of our spacious trucks, we continue treating your precious items and furniture as carefully as possible in transit until we reach your new home. Once you have told us which boxes will go into each room, we can also unpack large, bulky items so you don’t have to. We take all unwanted packaging with us when we leave – this is yet another part of our service that will save you even more time and leave you free to settle into your new place. How many other London removal companies will offer you such a comprehensive service with so much attention to detail? Unlike a domestic assignment, office removals can involve a great deal of very expensive equipment, such as computer systems, printers and other hardware that would be very costly to replace. Damaging these items could also lead to a great deal of business disruption on top of moving premises, and so it is vital to use a removals company with a great deal of experience. We have been handling London business relocations for a number of years, and our specially trained staff will handle all sensitive equipment with the very highest levels of care. Just explain where everything needs to go once at your new site, and we will take care of everything else – this will help you get settled in as quickly as possible. To get your home or business move handled by one of the capital’s most reliable removal companies, please do not hesitate to give us a call on 0203 807 5045.